Haley has told a lie, and now he’s only got one week to learn how to surf … but why has he seen a girl drowning even before it’s happened? For a while I was a ‘reading partner’ at a local high school. One of my partners was a mad keen surfer, so I looked about for some good surfing novels for him to read – and couldn’t find any. 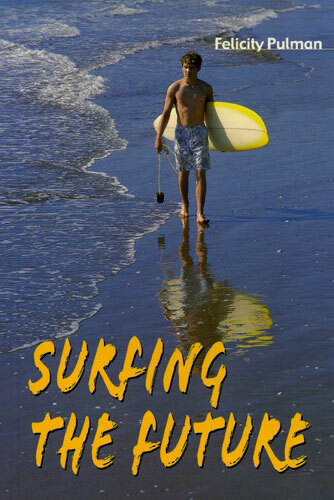 So, with his knowledge, and also my son’s input (cos he’s also a mad keen surfer) I wrote Surfing the Future – playing with my favourite time shift ideas, but it’s also a story with lots of surfing in it!